The abandoned BIA school in Eek partially burning on April 2, 2019. 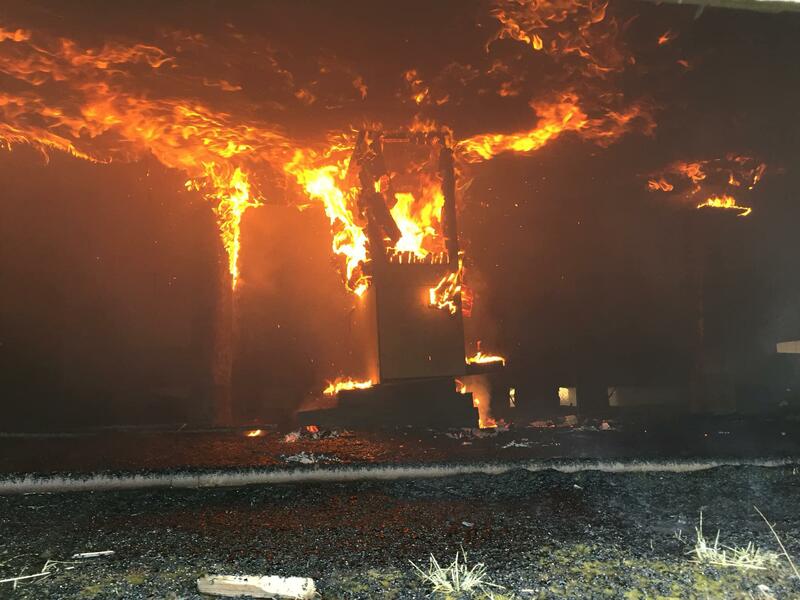 The abandoned BIA school in Eek caught fire on Tuesday evening. No injuries have been reported. Eek resident Micah Heakin says that the fire started around 5 p.m. and that volunteers extinguished the flames about an hour later, using water pumped from the river. The fire created a great amount of smoke but only partially burned the building. Heakin says that the school has not been used since around 2000, when the preschool inside moved to another location. He says that the suspected cause of the fire is children playing with matches beneath the building. The Lower Kuskokwim School District dispatched personnel to the site on Wednesday to inspect the damage. The Alaska Department of Environmental Conservation reports that the BIA site contains asbestos and lead-based paint, as well as petroleum contamination.